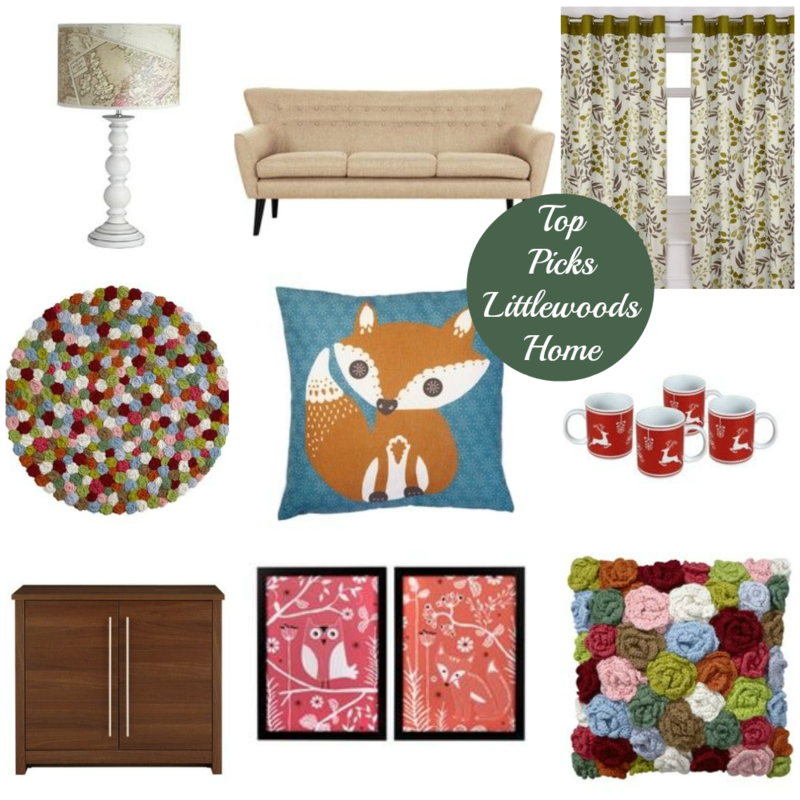 What do you think of my Top Picks from Littlewoods Home section? I’m really impressed to be honest. The style and design looks lovely and bang on trend and I’m particularly fond of the crochet cushion and rug. The colours are gorgeous and particularly Autumnal; ideal for this time of year. Many of these items are taken from one of their Trend selections, Modern Memories. It’s full of bright colours, woodland creatures and rich fabric and woods, a theme that’s very popular this season across many different retailers. Prices are very good too and great for family homes. Take the Dalis sofa (above) for example, part of the extensive collection of Sofas at Littlewoods which retails currently for just £559. The retro styling, high back and angular design make it very fashionable and desireable too. Accessories are great fun and full of colour. The fox cushion is a favourite of mine, whilst the woodland creature prints and Reindeer mugs add to the forest feel. The corsage range may not be for everyone but it’s quirky and totally upto date. The rug would look particularly good against a dark wood floor. The Atlas lamp is just fabulous and a great addition to a home of travel enthusiasts. Do take a look at the Littlewoods range, there are some lovely contemporary pieces and accessories at very affordable prices. What do you think? Are you impressed by the homewares on offer at Littlewoods.